The growing threat of the deadly West Nile Virus to horses in Northern Europe has been highlighted by Pfizer Animal Health. 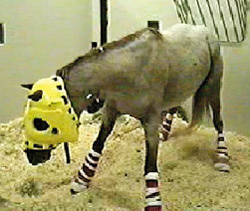 A horse affected by West Nile virus. Horse health experts with the company have suggested vets and horse owners discuss the potential threat of the virus in Britain after a spate of outbreaks in several European countries this year. 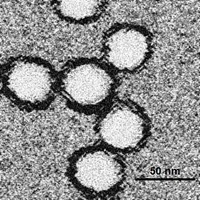 West Nile Virus has recently made headlines because of a human outbreak in Greece which resulted in several deaths. Outbreaks also occurred in Russia, Romania and Italy during 2010. West Nile Fever is a viral disease transmitted by mosquitoes, which carry the virus after biting infected birds. Primarily occurring between July and October in northern climes, in line with typical peak activity of mosquitoes, it can have serious consequences on human and equine health, with severe cases resulting in fatal neurological disease. There is no cure, though supportive treatment can aid recovery. However if the disease progresses to a state where the animal is not able to stand up, their chance of survival is considered low. Prevention of infection is difficult, but any steps that reduce mosquito numbers or the likelihood of horses and people being bitten may help to reduce the risk in areas where the disease is present. The only way to reduce the risk of an individual horse developing disease due to the virus is through vaccination. Pfizer's equine veterinary adviser, Ben Gaskell, said: "West Nile Virus may well become a very real threat to both horses and humans in Northern Europe. It is important for vets, horse owners and infectious disease experts to work together to mitigate its impact in the event of the virus becoming endemic across Europe. "The rapid spread of the disease across North America is an illustration of what could potentially happen in Europe and it is important to remember there is no curative treatment - the only way to prevent clinical disease in horses is by vaccination." Klaus Osterrieder, professor and chairman of the Institut für Virologie in the Veterinärfakultät at Freie Universität in Berlin, Germany, said horse owners should ask their veterinarian for advice on appropriate prevention measures. "Experience has shown that adopting a prudent prevention strategy can be a very effective way of managing this devastating disease." Osterrieder is a member of PrEquID - the Prevention of Equine Infectious Disease group - which consists of internationally recognised equine and infectious disease experts. The group, which is supported by Pfizer, was formed to develop guidelines on the prevention and control of a number of equine infectious diseases, on a global basis. West Nile was first isolated from an unwell 37-year-old woman in the West Nile District of Uganda in 1937. She was suffering from a fever. It was later identified in other parts of Africa, and then India in 1953. It continued its spread. It was first identified in horses in Egypt and France in the early 1960s and was found to be widespread in southern Europe and southwest Asia. It appeared in American for the first time in 1999, with brain-swelling reported in people, dogs, cats, and horses. It has since been reported throughout the US, Canada, Mexico, the Caribbean and Central America.